If you ever have the opportunity to watch old classic films on the big screen, do it, even if you have seen the movie a dozen times. In both cases, seeing these movies on the big screen was like watching them for the first time. It is amazing how much detail and nuance is lost compared to what you see on even the best television screen. A film expert film spoke before and after each film and answered questions. I must say, having been to Casablanca, I was disappointed to learn that the movie was made entirely on the studio lot in California. It was fun to learn that the famous line used throughout the movie, “Here’s to looking at you kid.” was something Bogart would say to Ingrid Bergman on the lot, so they added it into the script. 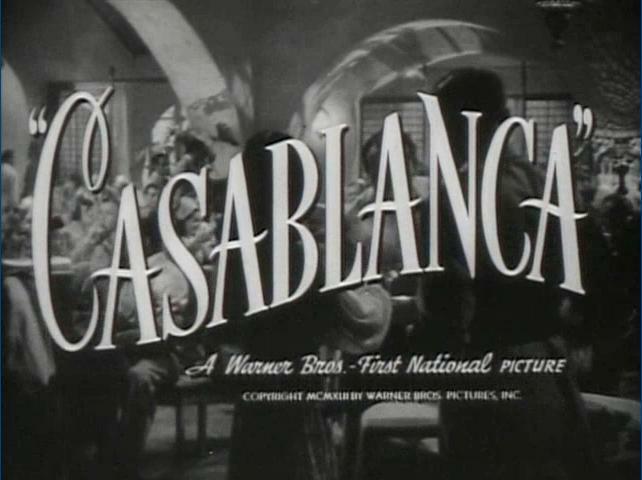 The magic and long-lasting success of “Casablanca” was attributed to the fact that most of the cast and crew had recently come to the USA with real life experiences, and/or connections to people with real life experiences, similar to the characters in the movie, i.e. trying to escape Hitler and his concentration camps in Europe. It brought a certain chemistry and energy to the film that has made it one of the greatest films of all time, right next to “Citizen Kane”. If you aren’t familiar with the Casablanca film, go see it. A good summary is found on wikipedia. If you have seen it on the big screen, let me know. « Ding, Dong, the Witch is Dead! Osama Bin Laden is Gone…Can We Move on Now?